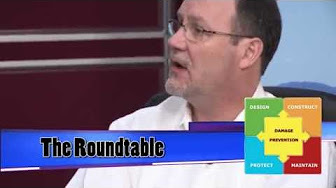 Check out this illuminating segment from the 2015 Roundtable event! This unique seminar brings together people from all corners of the damage prevention industry to discuss and debate the most important and pressing topics of the day! It also allows American Locator magazine to gather new source material, story ideas and content streams so we can continually deliver to you the finest in industry coverage. Along with our Planet Underground TV video material, the success of the American Locator relies on this continued partnership and the participation of the Roundtable attendees.